A few months ago Keynote sent out a survey to our DeviceAnywhere customers and we wanted to share some of the results. The survey first asked a few demographic questions “What is your role in your company?”. It’s somewhat surprising that only about half of users are in QA. More developers and product/project managers were using our product than expected. Also interesting were the “Other” responses—mostly because they indicate that this was a poorly worded question! Many of these responses were “Manager/Director/VP of Engineering/QA.” The word “role” was interpreted as job title, when it was intended to mean functional area. That’s one of the good and bad things about surveys – when you get the question wrong you don’t get the best results, but it’s also very easy to identify sub-optimal questions so you can improve them for the next time. The survey also asked users “What type of mobile products do you test using DeviceAnywhere?” and allowed multiple answers. It’s interesting to see such a high % of customers testing Websites, where in the past Native and Hybrid Apps has been the most popular responses for our product. It does highlight the priority that companies are placing on providing quality mobile optimized versions of their websites. Here’s a good reason why in this quote from a Forbes article: “Two-thirds of smartphone users say a mobile-friendly site makes them more likely to buy a company’s product or service.” You can see the full article here. Now perhaps the most important question in the survey – we asked about 5 device dimensions, including Reliability (do the devices work as expected), Cleanliness (do the devices have evidence of past use), Speed (interaction with the devices), Availability (are the devices available when you want to use them, and not offline or busy) and Model Availability (do we offer the device models you need). Users were asked to rank the importance of improving each of those dimensions. The chart below shows how many respondents said a given dimension was the most important to improve. The only surprise here is that so few respondents said Cleanliness was the most important item to improve. However, in thinking about this, it makes sense. Getting on a cluttered device is a big annoyance; however, it will not completely block testing, unlike just not having the model you need. So, this is not an endorsement of “dirty devices”—we are still working on improving the cleanup process! However, it does mean that Keynote needs to place a very high focus on the other items on the list, most important of which are device interaction speed and new model availability. We are in various stages of working on all of the above items, and future blog posts will have more details once we are closer to making improvements available. Thanks to everyone who gave us their feedback; this information is invaluable to the product, engineering, and operations teams in helping us prioritize efforts that will provide the biggest benefit to our customers. We always want to hear from our customers, so please either respond to this post or send us an email anytime at products@keynote.com. One of the biggest challenges facing enterprise mobile app developers today is designing and developing apps across multiple platforms. In 2011-12, having a mobile strategy was imperative as the “consumerization of IT” and “BYOD” trends pervaded. As a result, enterprises now must shift their mobile strategies to support multiple mobile devices and platforms or else, lose the power to manage all the various devices within their environment. Some companies can focus on developing apps for just one device type or mobile OS if the devices were company-issued, but this is becoming less and less the case. Businesses and brands must support more than one device or risk backlash from select employees for not supporting their non-supported devices. 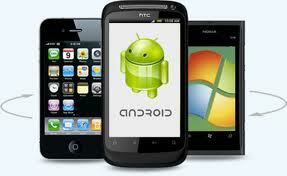 Keep in mind – as prevalent as the iPhone seems to be, Android has been caught up in popularity. Cross-platform app development frameworks are becoming critical tools for developers because they’re designed to lessen the time and resources that developers or development teams has to allocate to creating apps for iOS, Android, BlackBerry, Windows Phone and beyond. By not spending excess time and effort creating apps to apply for different devices and mobile OSs, they can focus on what matters most – end user experience. However, since each cross-platform development tool is unique and exhibits diverse features, capabilities and behaviors, developers will face increased challenges and opportunities designing successful device- and OS-agnostic mobile apps. I recently spoke on a panel at Mobile+Web DevCon and my fellow panelists and I got into a discussion about the pros and cons of using cross-platform app development frameworks. Reuseable Codes: Rather than having to write the specific action or sequence for each platform, a developer can just write the code once and then reuse those bits in later projects or on other platforms. Plugins: Most cross-development frameworks offer easy access to plugins and modules that can easily integrate with other services and tools. 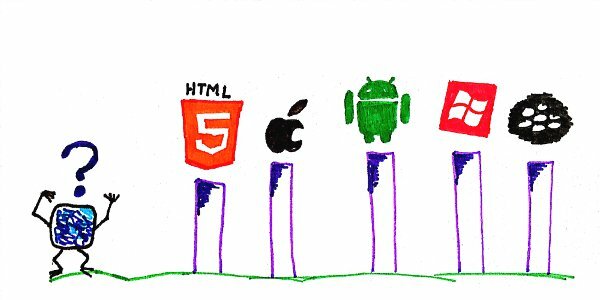 Easy for Web Developers: Most cross-platform frameworks are dynamic and simple for web developers to jump in and use, because many of these frameworks support HTML5 and CSS3. Reduced Development Costs: This is perhaps the biggest advantage because it allows companies and brands to get an app onto other platforms without having to invest in a separate developer or team. Support for Enterprise and Cloud Services: In addition to plugins and modules for specific functions, most frameworks also have the option to directly integrate with cloud services, including Salesforce.com, AWS, Box.net and others. Easy Deployment: Deploying apps is much faster in a cross-platform scenario because it’s easier to incorporate one development code onto multiple devices. This is especially true with many of the new cloud-based tools that various frameworks are starting to push out. The Framework Might Not Support Every Feature of an OS or Device: If, for example, Google, Apple or Microsoft adds a new feature, the framework being used will need to be updated to support those new functionalities. You Can’t Always Use Your Own Tools: Most frameworks want users to use their own development tools and suites, and that can mean that a developer has to forgo his or her own preferences and use something else, even something unfamiliar. Code Might Not Run as Fast: The cross-compilation process can sometimes be slower because it may take longer to load than native tools. High-End Graphics and 3D Support is Often Limited: Fortunately, game-centric development platforms, like Unity, are here to help fill in those gaps. When considering the pros and cons of app development, Josh Clark, Interaction Design guru, states that app design is one of the major factors cross-platform developers need to be aware of — whether they use a framework or not. Designing an app for the iPhone is different than designing one for a tablet; the UI and UX conventions are different, and touch points and menus work in different ways. In addition to app design, it’s also important to factor in who the app is being developed for. This pertains to anything from the mobile web apps to e-publications to native apps. Certainly a couple of years back, developers could quite safely shoot for iOS first, think about Android later and ignore everything else. Now, there are many more options, and although its pros and cons are almost equivalent in nature, taking a cross-platform approach to mobile app design and development appears to be the wave of the future for app developers. Regardless of which platform, if not all, you’re developing for, app testing will still be one of the most critical steps of the app development lifecycle. Just because an app works fine on iOS doesn’t mean it’ll work just as well on Android devices. Likewise, just because an app works fine on an emulator doesn’t mean it’ll work fine on a real device. So, test early, test often, and on real devices to ensure the quality of the app. A trend I’m realizing is that end-users are becoming very unforgiving about buggy apps which are, quite frankly, synonymous with “revenue- and reputation-killer.” App development is a hot industry and the market is saturated with app developers, so being blasé about app quality is not an option. For Desktop-based testing it’s a no-brainer: Use object-based scripting to maximize reuse across platforms/browsers. In today’s mobile world it really isn’t that simple. There are many different platforms, OS versions, form factors and carrier/manufacturer customizations. Multiply that by mobile web, native app, or some hybrid in-between and you’ve got yourself a healthy testing matrix. A daunting task for even the most skilled Automation Engineer. In order to tackle this problem, an Automation Engineer cannot simply look at it from a “one size fits all” perspective to create a set of objects and re-use them across all combinations of platforms. For example, there are fundamental differences in how an app behaves on iOS and Android, even with something as basic as a “back button” has its quirks. Although these fundamental differences can be grouped together as a step or action, they are unique enough to not be able to simply share an object between the two OS’s.In some cases with mobile testing, you may be able to get to the object-level, however this usually requires that you instrument your app, or test on an emulator. While this fulfills a piece of your testing matrix, you will probably need to seek a couple tools to get this done across all platforms. In other cases, the content you are testing might be HTML-based and you can test by WebKit profiling. Again, part of your testing matrix is fulfilled, however you aren’t quite there.This may be enough to satisfy a short-term goal, but at some point you need to be testing on real mobile devices. In order to truly automate on mobile, your mobile testing “Utility Belt” needs to be designed in such a way that allows for testing by object when possible, element when possible, and also be able to quickly fall back on text or image verification in order to satisfy all areas of your testing matrix and assure the highest quality of your mobile product. Having the flexibility to be able to choose how to get the testing done is paramount since as an Automation Engineer,you very rarely have a say in how a particular app or mobile web site is developed. The job requires you to sometimes understand functionality without necessarily being privy to the construction, and there is always a tight timeline to achieve results. The right tool for the job is a tool that takes all of this into consideration, and provides a platform to consolidate all of these different types of testing approaches.The first step is to determine the type of app you are testing. Is it fully native, fully web, or somewhere in between? If it’s fully native, you may be able to get to some objects on a per platform basis, but you will probably be falling back on text and image based verification, especially if you are trying to go cross-platform. If it’s fully web, a lot of testing can be done up front in a WebKit profiler. When it comes to real devices, element-based testing can be done cross-platform if you want to instrument, or you can fall back on text and image verification. If it’s somewhere in between, you’ll need to mix and match. The second step is to find which pieces or steps of your test cases are reusable between each other, and can accept parameterization to fulfill the task. For instance, automating the selection of an item or link on your main screen of your app or landing page: Maximize reuse by engineering a parameter to accept different values, and reuse it across each test case. Although you may need to individually determine what type of verification you will use to achieve this on a per platform or device level, you will save time in the long run when you write additional test cases. The third step is to then group those pieces or steps together by device screens or pages. This way, as you write the test cases you have an organizational structure that is easy to identify by where you are within the app or site and where you need to navigate to next.Following these steps will provide a structure that can be grown to accommodate new features within an app or new sections within a mobile web site. As mobile devices become easier to automate against, this structure can easily adapt to emerging technologies that allow for greater reuse across platforms. Note: This article was recently published in the April, 2013 issue of Automate Software Quality Magazine. 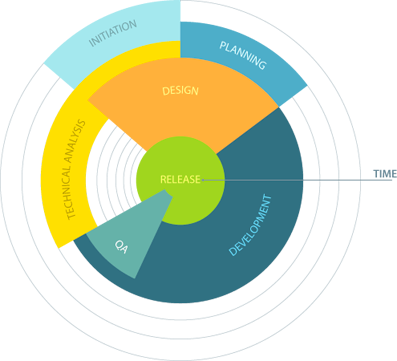 There are many phases in the testing of any mobile app or website, specifically when it comes to QA and development. Within development (or pre-launch) there is Functional Testing, Usability Testing, and Performance Testing, amongst others. And in production (post-launch) there is Benchmark Testing, Availability Monitoring, and Performance Monitoring. 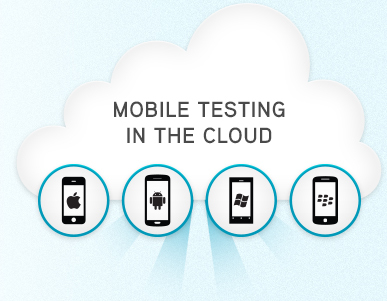 All of these types of testing are critical to the success of any mobile platform. While there are many factors that can affect an apps success, the importance of having a mobile strategy that incorporates testing is crucial. For development teams the use of emulators and real devices for testing is vital to ensure the app or site is of the highest quality to avoid pitfalls such as misplaced images, non-functioning apps, apps crashing, broken links, etc. For Web sites or Web apps it is viewable by users around the world. Even if you’re initially targeting only users in a single country or on a single network, it helps to understand the global dynamic. 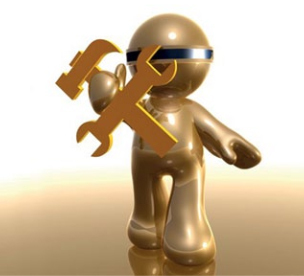 Mobile applications drive productivity – they must work. Device platforms vary – applications developed for one platform must work on other platforms. For example, device fragmentation on different Android devices. Applications will evolve – as worker’s needs and responsibilities change, applications will be both upgraded as well as downgraded in functionality. Cloud systems affect where data is stored. In addition, authorizations and connectivity APIs are not consistent across cloud service providers. Multiple wireless networks – businesses connect to different radio networks based on network capabilities, worker needs, and contractual relationships. But all of these conditions can change which will require modifying the application. Operator choice – devices commissioned for use on a network in France may be recommissioned for use on a network in Germany. Or a business may change mobile operators. Applications will need to be tested on different operator networks to ensure consistent connectivity when upgrading in-the-field devices. Worker demographics will change device type and application. She continues “Another drawback associated with native apps is that companies such as Apple act as gatekeepers: Users have to visit their app stores to download the app or update it, and these same companies must approve the app before it goes public–a process that can take weeks. It’s a lopsided arrangement with which not everyone is comfortable. “There are real concerns with [these] companies deciding who can and who can’t publish what on their stores,” explains John Kennedy, developer of Pocket Universe, a successful iOS app. An additional advantage of HTML5 involves updating. In truth, people are terrible about updating their apps when new versions come out. Browser-based apps draw their features and content in the form of data hosted on the web. If there’s an update, it’s incorporated in that data. The user doesn’t have to download it from an app store. The user might not even know about it. Keynote’s DeviceAnywhere platform prides itself on being agnostic when it comes to devices and even OS’. Since our technology can work with any device on any OS, that becomes a non-issue and allows our customers the opportunity to switch platforms as they see fit. That being said, we do see value in HTML5, especially as it pertains to automated testing of mobile apps and websites. While traditionally this has been done on a 1:1 ratio leveraging scripting, HTML5 gives us a framework to perform automated testing across any device (provided it is an HTML5-enabled device, which is becoming the standard in the industry). To read the rest of Michelles article click here. To learn more about HTML5 Web Tesing with DeviceAnywhere’s Automation platform click here. For Testers, Shipping Devices Is a Major Headache – Mobile Cloud Testing to the Rescue! Traditionally, to conduct real device mobile testing vendors shipped devices to testers all over the world. A major roadblock is the upkeep of these devices and maintaining them with the latest OS version or device model. Shipping back and forth becomes a huge pain point as time and cost rises exponentially. With cloud-based services there is no need to ship, purchase devices, or subscribe to service plans. Cloud-based architecture enables easy access to application performance information anywhere in the world and eliminates the need to have a physical device on hand to test. Some cloud-based tools allow mobile teams to receive real-time alerts against any measurement criteria, allowing them to address issues before they impact end-users. Real device testing, such as Keynote’s DeviceAnywhere platform through the cloud gives teams the ability to access real devices from anywhere in the world. This is perfect for organizations that either offshore their testing because of cost or have internationally-based teams. These teams can have access to the latest devices from locations with an Internet connection. For a free THREE HOUR trial with access to the LARGEST library of real devices in the world – click here! Zillow Leverages Existing Web Development Team to Develop for Mobile and Succeeds! Time and training of your resources for mobile has become a tremendous problem for companies going mobile. While many testers are adept at QA, they may not be experts in mobile. Because of device fragmentation the demand for output becomes increasingly challenging for teams that do not have the bandwidth to increase their existing resources. Now, a person managing web development takes on multiple roles (to include mobile) and has less time. With these hurdles, it creates even greater demand to have the proper testing tools and methods in place. While the number of device types and OS fragmentation makes it cumbersome and expensive for organizations to acquire and test mobile apps, there are efficient automated and real device testing tools that make this transition cost-efficient for testers and their teams. Organizations are beginning to adopt testing-as-a-service (TaaS) as a way to bolster the capabilities of QA and IT departments with testing. For these organizations, finding the right TaaS will help reduce cost and errors. Recently, while at the Mobile Enterprise conference in San Francisco, I learned about how Zillow was able to train their existing web-based development team on how to code for the mobile environment, as opposed to hiring new mobile developers, thus reducing overlap and ramp-up time. Zillow was able to overcome the challenges and as a result, through precision-like ad placement, meet the needs of its consumers and connect them to the right person at the right time. This strategy has made it a win-win for both consumers and realtors alike. Companies such as Zillow who have been able to monetize on mobile are seeing the value and importance of testing as part of their mobile development process.